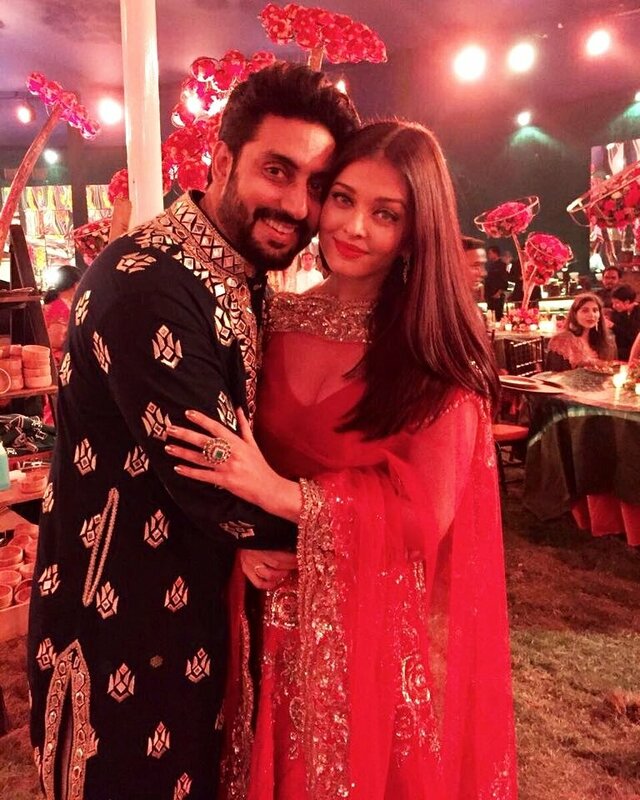 The Bachchan’s Guide On What To What To Wear To A Wedding! 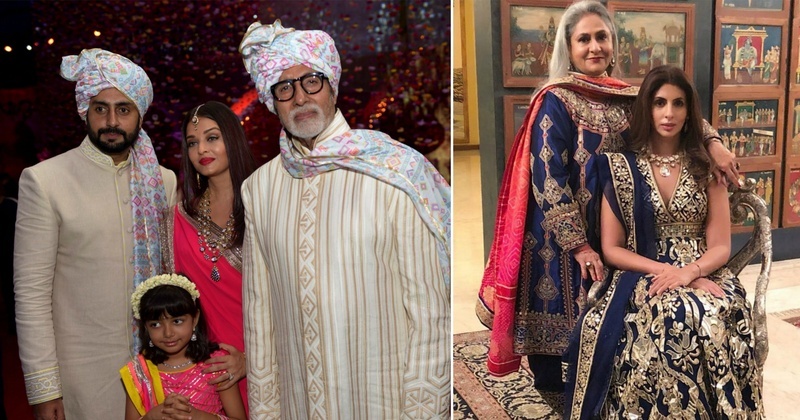 It was an eventful week for Amitabh Bachchan and his family where they attended a wedding of one of their relatives. 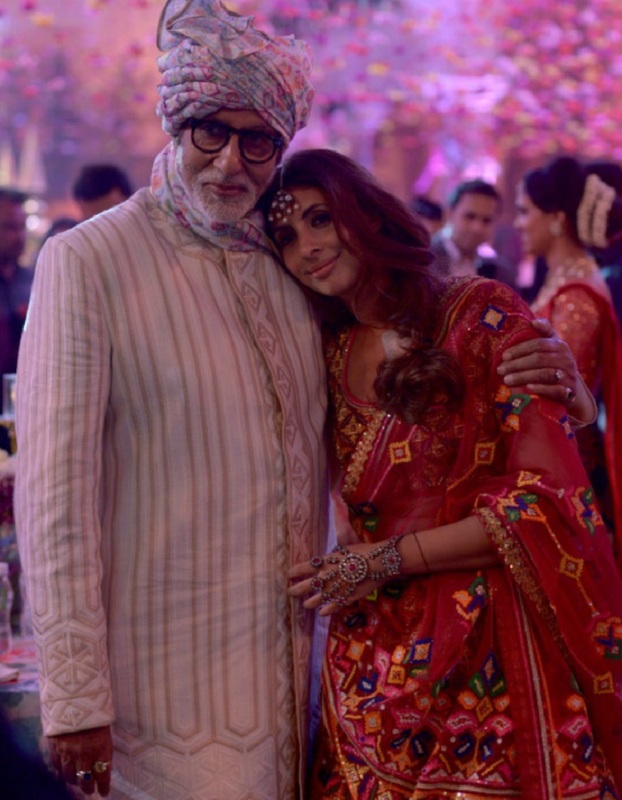 This two-day function saw the Bachchan clan dressed in their traditional best while they happily posed for the pictures. Bollywood has always been a major inspiration for all our wedding outfit inspirations and star-studded events like this, just give us major wedding dressing goals. Seen in this picture are Amitabh and Abhishek Bachchan twinning in their quirky pheras from Quirk Box. Shweta Bachchan rarely makes public appearances, but from what we know her fashion statement is always on fleek. Seen here is Shweta Bachchan Nanda wearing a similar outfit as mommy dearest Jaya Bachchan in a regal Abu Jani Sandeep Khosla Couture. Aishwarya Rai Bachchan is always known to keep her best fashion foot forward irrespective of the event. She’s seen wearing an Abu Jani Sandeep Khosla lehenga and here her mini-me - Aradhya Bachchan is seen to be a similar shade of pink as of her mom’s lehenga. We feel twinning is the key to decoding the Bachchan’s outfits for this wedding and seen here are Abhishek Bachchan and Shweta Bachchan twinning in Abu Jani Sandeep Khosla outfit. Seen Shweta Nanda with Abhishek in a bright yellow attire.